My skin is so temperamental, it is worse than a naughty toddler. It gets particularly worse during the Winter months. More recently because I have been feeling extremely run down, it has had several nasty break outs. I use Quinoderm, which is medicated cream to treat the outbreaks but because it contains Benzoyl Peroxide (which is excellent for the treatment of acne), it means it dries your skin out something terrible. Luckily, I have two little superheroes in my collection of skin care products from the amazing brand Liz Earle. A few months ago, my local Boots started doing a range of Liz Earle products - this was really exciting to me. Call me sad if you want but Aberdeen, whilst a large City, it does tend to seriously lack in the shopping department. After chatting with the consultant for a while I decided to go for the extremely popular and award winning Hot Cloth Cleanser (which I have used previously in the past from purchasing online) a no brainer and the gentle Exfoliator. Both of which are Cocoa Butter based and made up of essential oils such as Eucalyptus. The Cleanser works in two stages - massage the creamy formula deep into your skin helping to remove daily grime and even that stubborn mascara residue. Next use the muslin cloth (provided) to gently remove any dead skin cells leaving soft nourished skin. I use this as my morning and evening cleanser. This product is suitable for all skin types. The full size version 70ml is £14.75 the above is 50ml starter kit (includes muslin cloth) is £9.25. The Exfoliator contains Jojoba beads which are amazing at removing dead skin cells, and flaky dry skin. Whilst the Cocoa Butter and Eucalyptus give your skin a kiss. They help soften the skin and aid in rejuvenation. I like to use the exfoliator for an extra boost on a Friday evening, this sets you up for the weekend nicely. They say that this product isn't suitable for sensitive skin. I have always thought my skin was sensitive and I have had no problem with it at all. 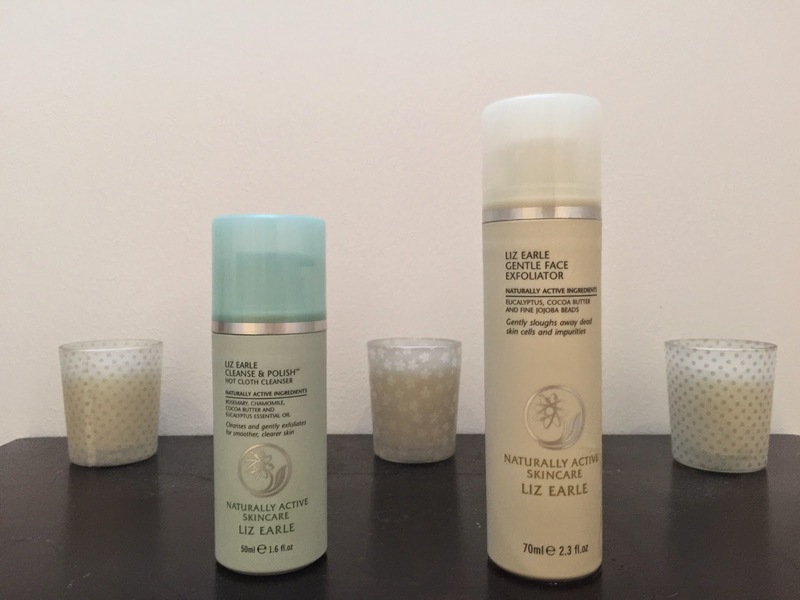 If you have yet to try anything from the Liz Earle range, I would recommend looking out for them next time you are on a skin care hunt - you won't be left disappointed. Ooh Im a big fan of the cleanser but I haven't tried he exfoliator, sounds great! I need to try the cleanser - it looks great. I've never heard of the brand before. But it sounds good. I've tried the Cleanse and Polish and loved it, particularly when my skin was also behaving like a naughty toddler this time last year! It worked wonders and made me want to try more from the brand. Cleanse and Polish is a personal favourite of mine, it's such a fantastic cleanser! I haven't tried the exfoliator from Liz Earle however I'd like to give it a shot, I still like physical exfoliation so long as it is very gentle.